for Tomorrow, now stars as Christina in Kingdom. AT&T Audience Network has picked up a 3rd season of drama series Kingdom. This follows a successful 2nd season of the critically acclaimed drama series. The Kingdom cast features Frank Grillo (Guiding Light), Kiele Sanchez, Matt Lauria (Friday Night Lights), Jonathan Tucker ("Parenthood"), Nick Jonas, Joanna Going (Another World, Search for Tomorrow) and Natalie Martinez ("Secrets and Lies"). Creator, writer and showrunner Byron Balasco serves as executive producer. Kingdom is produced by Endemol Shine Studios. "The success of season 2 of Kingdom proves how captivating this series is and how viewers have invested and connected with the characters' lives," said Christopher Long, senior vice president, Original Content and Production, AT&T. "Byron Balasco has been at the helm of this gritty mixed martial arts family drama since its inception and has showcased heart wrenching topics that no other show on television has had the strength to touch. We couldn't be happier to have Byron on for another season and have no doubt that he will create a compelling storyline that no one will forget." 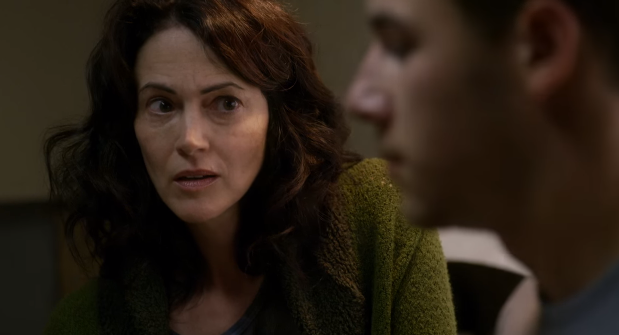 "Kingdom is a very special series with exceptional writing and leadership from Byron Balasco and one of the most talented top-to-bottom ensemble casts in all of television," says Endemol Shine Studios President Sharon Hall. "We're thrilled to extend our partnership with the team at AT&T Audience Network and deliver a 3rd season of a series that both critics and viewers globally have enthusiastically embraced." "I'm beyond grateful to AT&T and to Endemol Shine for allowing us to continue on," said Balasco. "I am in awe of this incredible cast and inspired by the craft and creativity of my crew. We love making the show and feel like we've only scratched the surface. We're already back to work. Scripts are being written. Blood is being shed." Season 2 continued to put up a fight with all of its players, throwing them back in the ring. In the first half of the 2nd season, troubled brothers Ryan and Nate's discovery of their drug-overdosed mother, Christina, puts them back in a whirlwind where their brotherly bond is placed in the forefront. Alvey, concerned that Nate will not find his rhythm as an MMA fighter, is blinded by his failing relationship with Lisa and the loss of their infant son. Ryan accepts a challenge that will test not only his physical endurance but also his relationship with his best friend. Nate is eager to get back into the cage to prove that he has what it takes to make it as a fighter. Jay faces another opportunity to defend his lightweight title despite his battle with addiction. Lisa's return puts both Alvey and the Navy St. MMA gym at stake. During the 2nd half of season 2, which is currently airing on Audience Network every Wednesday 9 p.m. ET/PT, boundaries and relationships are being tested. Nate is ready to return to the cage to prove that he's still a viable fighter. Ryan continues to demonstrate his dominance at the gym while Nate attempts to drag Jay away from his new life with Ava. Alicia faces a career-defining decision that will alter her relationships with everyone at the gym. Alvey is stuck in a predicament with his connection with Roxanne and Lisa's return to Los Angeles. Strength and stamina are put to the ultimate test when Jay and Ryan are faced with a rematch, fighting for the title of the lightweight belt.